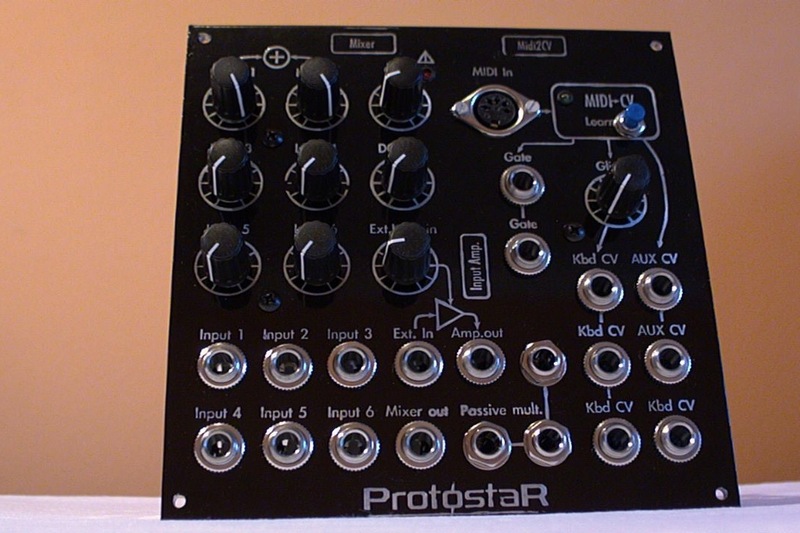 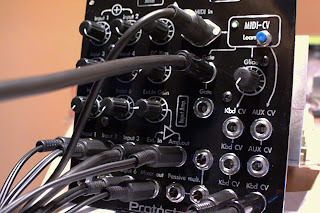 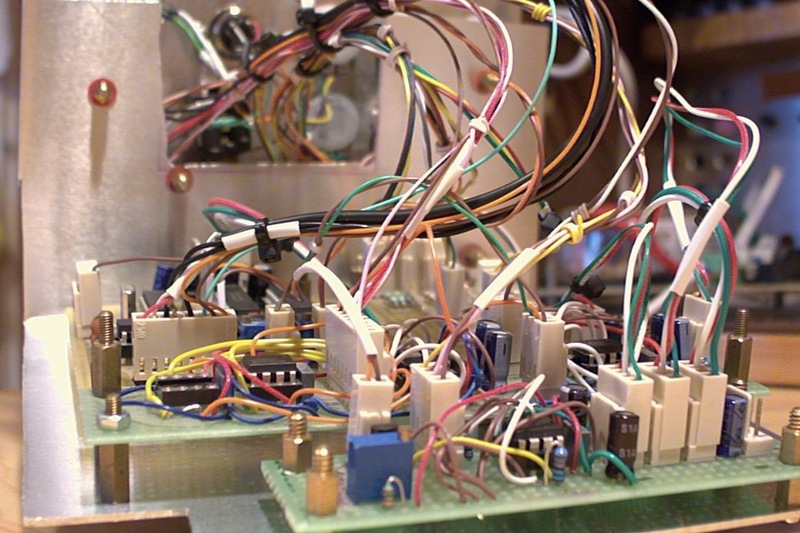 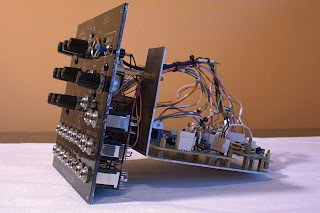 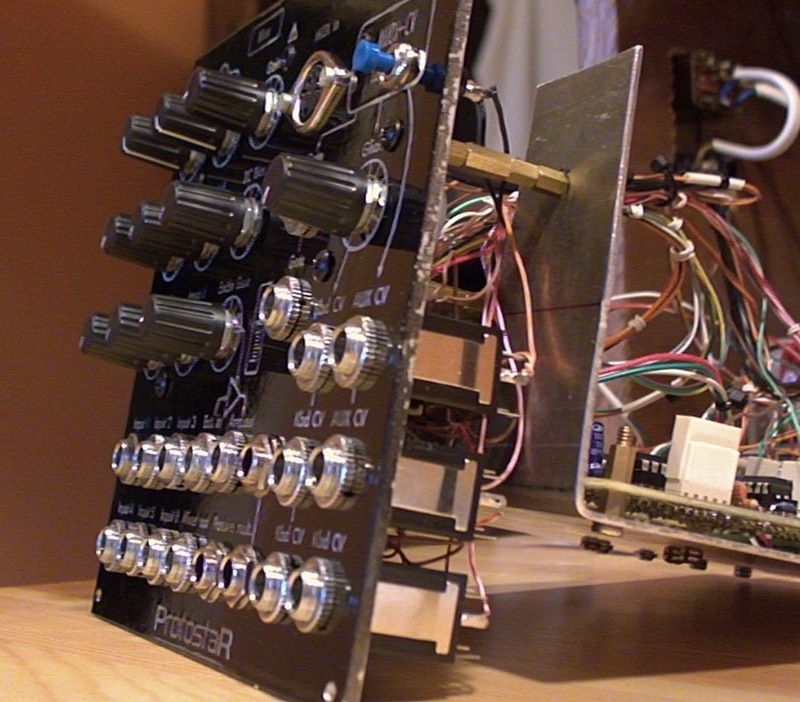 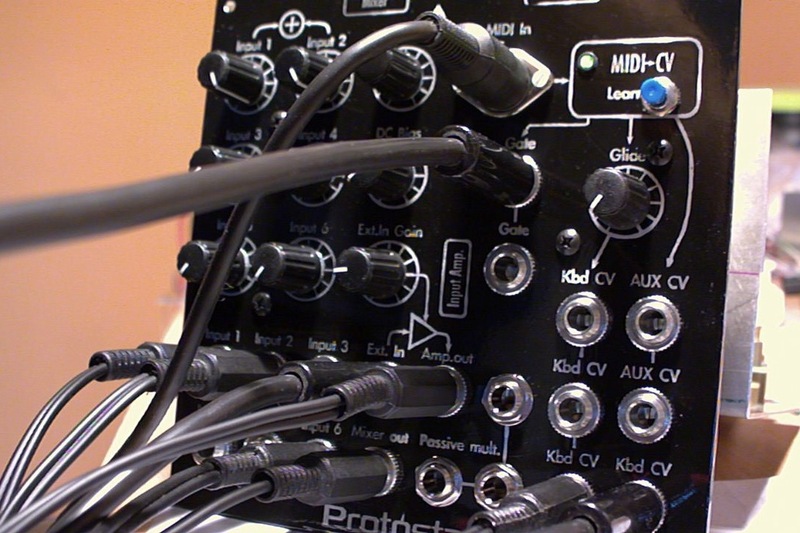 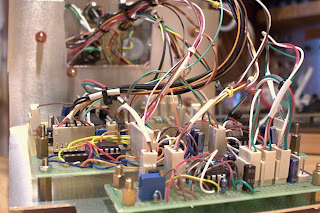 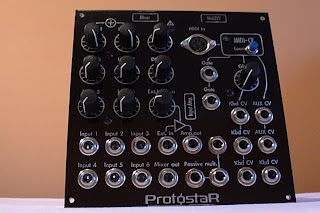 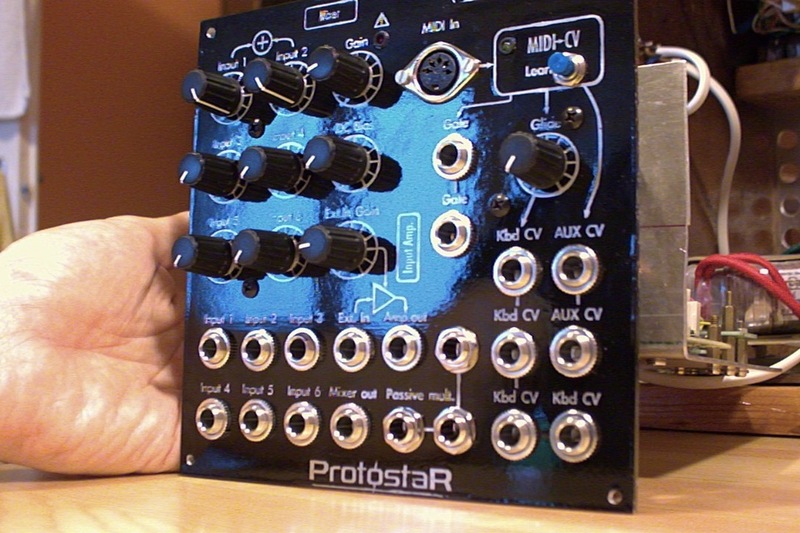 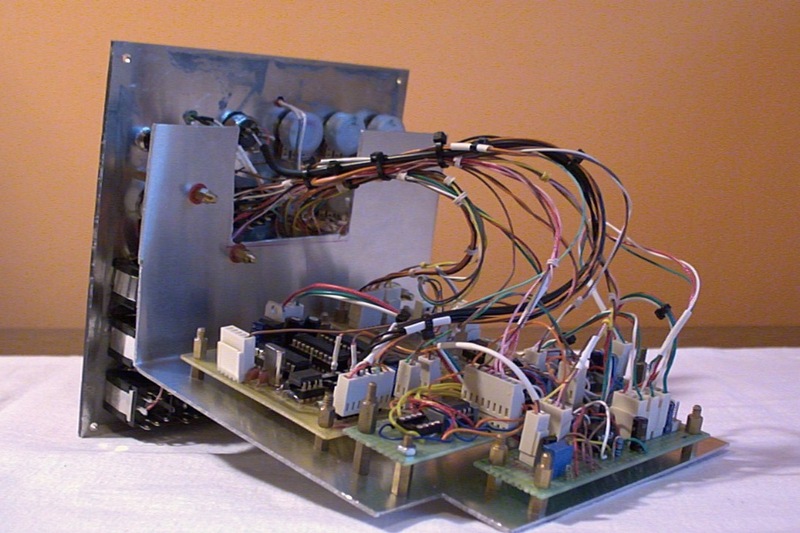 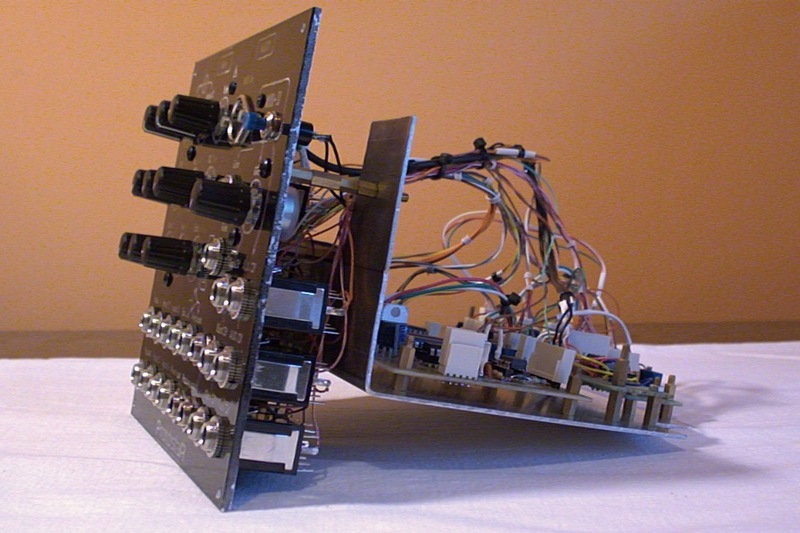 This is a combined module, which contains a 6 input mixer, a monophonic Midi2CV converter (MCV-628), and an input preamp. 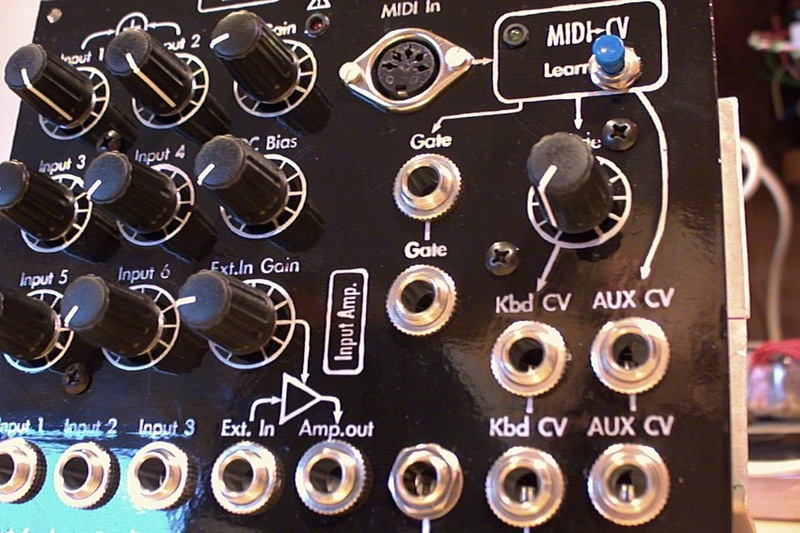 My new, non-standard panel format is 160x160 mm, fixed. 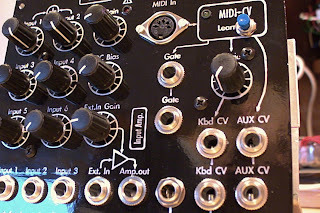 I've bought a 20 aluminium panels, and I will repanel the old blue modules. 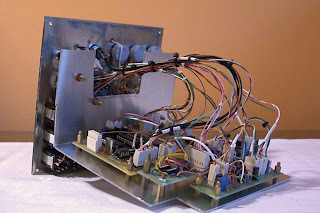 I need to do this, because the old panels are weak, and inaccurate.